As a business owner, you’ve probably put a lot of thought into the products or services you provide, your location, and your sales goals. While that may be the case, have you given as much attention to your branding? If not, it’s time for you to do so. You brand is your symbol, after all, and symbols are used as an expression of something else, something bigger than themselves. Your brand needs to pull together people’s associations and experiences in abstract visuals, sounds, taglines and logos. Your brand is what enables you to attract new customers and retain your existing clientele. To do these things successfully, your brand must evoke pleasant associations and experiences in the minds of consumers at key stages of the buying process. Branding is an involved process that takes place across just about every medium. From your product packaging to radio spots, print and online ads, television commercials and more, branding happens pretty much everywhere. Naturally, it also occurs on your website. If your website differs dramatically from your overall branding efforts, it can frustrate consumers because it will fall short of the expectations they have. To prevent this, you must make sure your website design is in line with the rest of your branding. It’s important that you choose a color scheme for your website that aligns with the colors you use in your overall branding strategy. Different colors evoke different feelings and associations in consumers’ minds so consistency across media is very important. Imagine seeing an ad for a brand you buy from often in which the color red is dominant. Red is normally associated with passion, power and excitement. Depending on the shade of red that’s used, the hue can actually increase a person’s blood pressure and respiration. Now, imagine going to that brand’s website and seeing the color green featured on every page. Green is often associated with the environment, nature, health and money. It also has a calming effect on many individuals, which naturally slows their heart rate. Would you be able to reconcile that brand’s website with the advertisement you saw? If you’re like many, the use of different colors in each medium would make it difficult if not impossible to do so. As you’re choosing colors for your branding, remember that certain colors mean different things in different cultures. You should be sure the colors you want to use mean what you think they do to the members of your target market. While your brand is a symbol, you can still give it some personality. In general, consumers want to buy things from brands that they can use to help define themselves better. This makes it important for you to give your brand a personality that the members of your target market would like to have associated with themselves. One popular way to give a brand some personality is to use anthropomorphism in your logo. When you give an animal or inanimate object human characteristics, it can make your logo as well as your brand more relatable, memorable and attractive to shoppers. 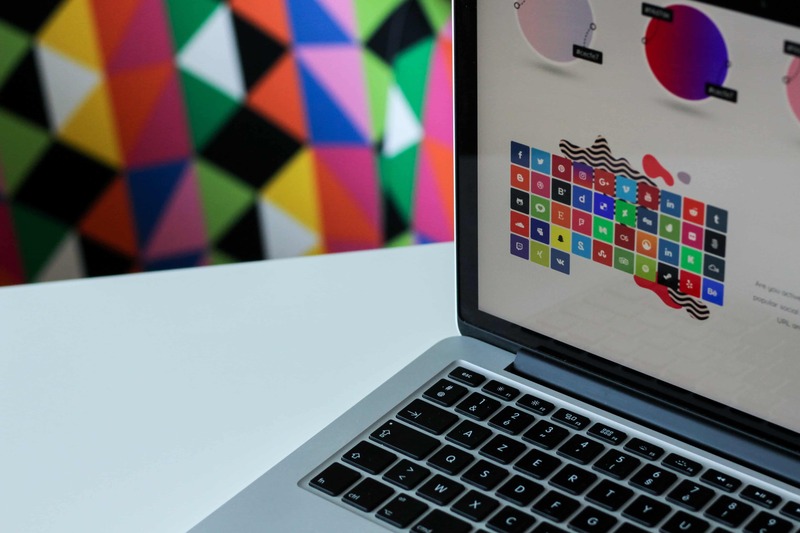 Just as it’s important for you to be consistent across media with your colors, everything about your website design needs to be just as consistent with the rest of your branding. You should use the same logo, typography, and tagline on your website that you use on other platforms. Consistency and repetition are what make people remember brands. By giving consumers the chance to see the same, consistent branding several times across media, you’re increasing the likelihood that they’ll remember your brand. You’re also increasing the chances that they’ll recognize your goods or services among a sea of similar products or services. Your website doesn’t just need to be consistent with your other branding, it also needs to be consistent from one webpage to the next. By using the same layout and visual content, you’ll enable your website to load faster because your visitors’ browsers won’t need to download as much as they navigate your website. This can greatly enhance the user experience for many of your visitors. It’s common, and often expected from a consumer’s viewpoint, for a company’s logo to be positioned in the upper left-hand side of a webpage. Linking your logo to your website’s homepage is also considered an industry best practice. In addition to putting the same logo you use on other platforms in the upper left-hand corner of your website’s pages and providing a link to your homepage, it’s important for you to size your logo appropriately. Your logo should be small enough to avoid distracting people’s attention away from the products or services they’re interested in buying, but big enough to be one of the first things your visitors notice when they visit your website. You can use a value proposition on your homepage that’s aligned with your overall branding. This proposition should answer the questions that people typically have when they visit a website for the first time, such as “What is this site about?” and “Is this the website I really wanted to visit?” Your value proposition should tell visitors the benefits your website offers in a short statement that convinces them to remain on your website and return in the future. The ideal position for your value proposition is right next to your logo. If that space isn’t available, put your value proposition in another prominent location on your homepage. If you want to ensure your website is in line with your branding, hiring a local digital agency is a good idea. At GoingClear Interactive, we help align websites and branding strategies for small and medium-sized businesses across industries and we can help you. To learn more about our digital marketing and website design services and how we can reconcile your website with your branding to provide an improved experience for your website’s visitors, we invite you to contact us today.